Disclosure: I received compensation for this sponsored post. Image by Evonne used under the Creative Commons license. Summer is a great time to get out in the fresh air with your kids, and gardening facilitates this, whilst teaching children important skills such as patience, and respect for the natural world. 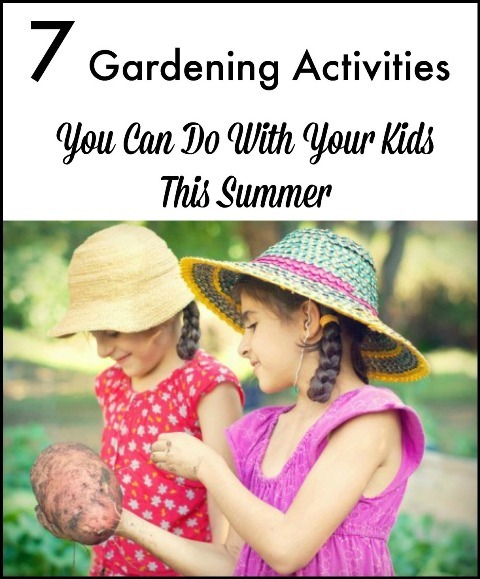 If you’re struggling to find activities to keep your kids occupied while you dig around in the earth and water your plants, here are seven great things that you can all do together. Kids can tell when something doesn’t feel authentic, so in order to make them feel like an important part of your gardening activities, be sure to head to your local garden store where you can pick up tools that suit their age—plastic for the young ones (maybe even a bubble-making lawnmower), and wooden for the older ones. 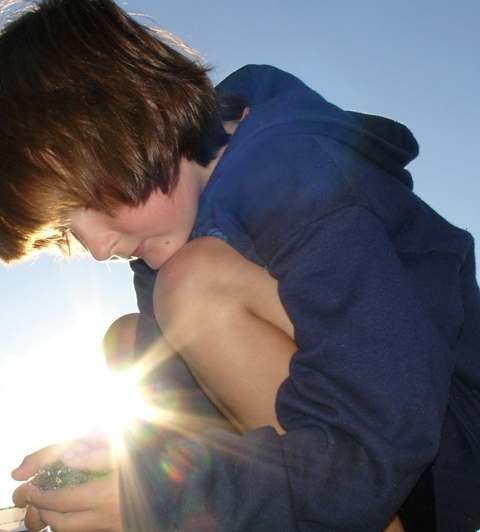 If you have the space, you and your kids should try planting a tree in your yard. 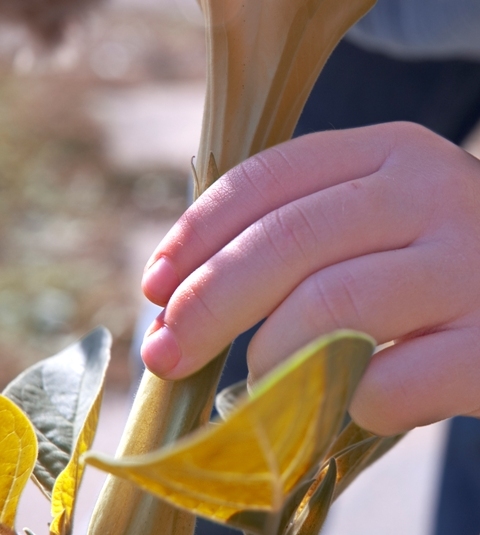 This will not only allow them to see it grow alongside them over the years, but it will give them a lasting connection to nature. 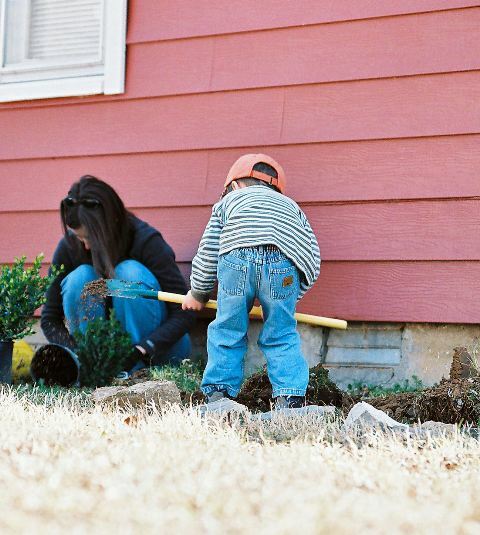 There is nothing kids love more than getting dirty—heck they somehow manage to do it even in the cleanest environments—so having your kids help you with tasks like laying or turning over soil will get them excited to get to work in the garden. Along the same line as getting your hands dirty, introducing positive insects to your garden is a great way to involve your kids and to teach them the importance of balancing a sensitive ecosystem. Whether its beetles, lapwings, or damsel bugs, there are a whole host of bugs that can help various plants in your garden. Just like adults, kids enjoy getting new things, so why not work with your kids to pick out some new garden furniture for your backyard. Be sure to get different sizes of furniture, that will allow all members of the family to sit together and enjoy the beautiful job they’ve done planting and maintaining the garden. Composting is one of the best ways to make your garden ecologically friendly, and it can be as simple as buying a bucket and lid to place in a grassy corner of your backyard. Inside you can place old kitchen waste, plant waste, soil, and used animal or pet bedding, and the motivating factor of filling up the bin is a great way to keep kids going. Seeds are the important part of gardening and are a life-sustaining source on earth. Using simple materials like envelopes, you can help your kids collect different varieties of seeds from your garden, which they can label and later plant. There are plenty of great ways for you and your kids to enjoy the beautiful summer weather together, but working in the garden can be both fun and a great tool for learning.